Are you in need of window replacement or window repair in Elkhart, IN? Elkhart Windows, based out of Elkhart, Indiana, replaces, installs, and carries many brands of windows for commercial, residential, and automobiles. When locals of Elkhart and the surrounding area need glass or windows replaced, they come to one of the best in Indiana. 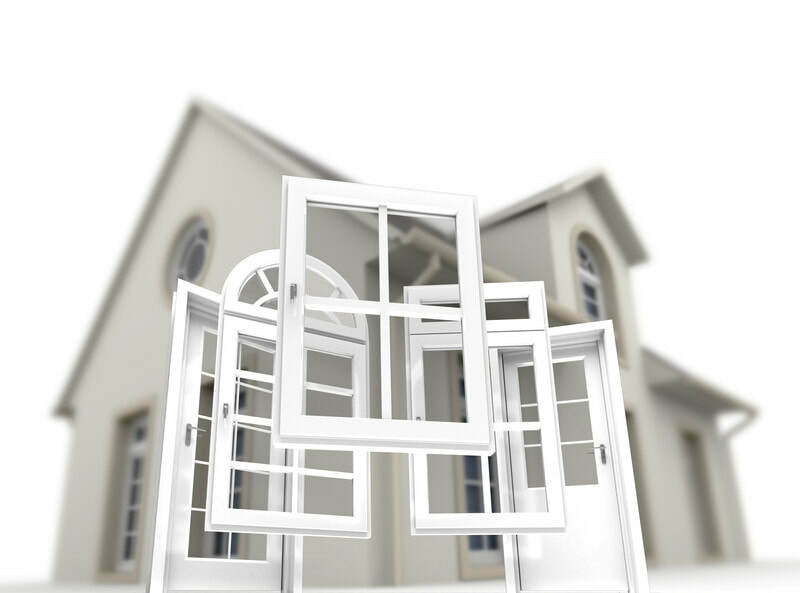 Replacing or installing windows or glass in your window panes at your home or business, you can count on us. Call us so we'll take care of it the only way we know how--professionally. 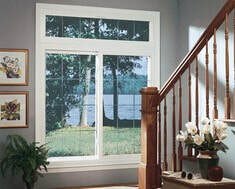 Replacement windows Elkhart Windows offers to local residents will receive some of the best window and glass services in this area. With our local customers needing various types, styles, and brands, it's the only way we know how to work. They know how we work. When our customers need new windows and glass replaced or installed, they're pleased and satisfied when it's complete, bottom line. Whether our customers need it for their homes, or their business, Elkhart Windows guarantees professional work done right. It's the glass doctor Elkhart residents need. With our company, if your business needs any type of replacement or installation, we can do it. We'll do the work with a quick turnaround too. Call us today if you need a quote for a window replacement or installation. Our customer service representatives will treat you right and answer any questions you may have about your replacements or installations. Glass repair customers in Elkhart, Indiana are not always able to find the right style or design of window treatment they need. Therefore, they'll come to us and we'll try to find it in record time. With this ability, we'll work until the work is complete from beginning to end. If there's a type of glass you want or style you need for your home or business, we'll find it if we do not have it in stock. In fact, we will work with you in any type of design you have in mind. You may need residential, automotive, commercial glass and windows. For residential windows and glass repair, we often look at the big picture. We not only can customize and install your windows with new glass, we can work on emergency home glass replacement and repair when you need it. There are times during bad weather, or by accident, when you have a broken window or a broken glass door. We can fix it for you affordably and with a quick turnaround. Here are some of our residential glass and windows we service. We are your custom glass and window repair and solutions company. Call us if you need an emergency glass or window repair. We can work on a glass or window replacement as soon as you see you're in need of one or more. In addition, we work on automobile glass, miscellaneous glass, and custom-glass shelving. Our specialists are well-rounded in residential and commercial building windows and glass, but we also specialize in automotive window repairs. We'll come out where your vehicle is located and take a look at what your car or truck needs. We can fix it on-site if you have a window or glass that's broken or needs replacing. 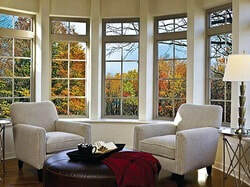 Here are some of the services Elkhart Windows specializes in also. More over, our commercial glass and custom window repairs and installations come easy to us. The years of experience we have working in the Elkhart and surrounding area has been recognized by many small and large businesses. With an emergency glass service when needed, we'll be able to fix any broken window at your business. 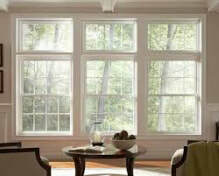 In fact, we can replace or install new windows as soon as you need them. Call us today for any of the following services your business in Elkhart or the surrounding area may need. Why don't you ask us about our upfront pricing! With our qualified glass repair experts, we'll make sure that we do it right the first time. We'll work around your schedule. Besides, we know how important it is to fix broken glass or windows on your property (i.e. residential, business, auto...) immediately. Therefore, when you need professional installations and glass repairs in the Elkhart, Indiana and the surrounding area, we'll be there for you as soon as you need us. The glass repair Elkhart, IN company services have been in the business for many years now. Our professional work seen around the area is guaranteed; we strive for perfection when it comes to installation and repairs. Our work is quality-driven. We have our specialists working around the clock. We'll explain how and what kind of glass or window treatments you may need. When a glass installation in an area that may look difficult to get to, we'll make it work. In fact, we'll do a window and glass job to your specifications when you need it. There is never a job that is too difficult for us. We trust in certain window and glass manufacturers and their brands since we've been working with them for many years now. For example, we carry Harmon glass in our Elkhart, Indiana shop. They're a great brand of window and glass manufacturer we've used in many jobs. Therefore, we continue to use them proudly. 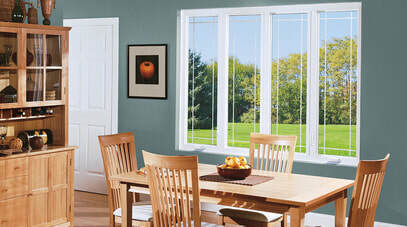 The quality glass Elkhart Windows offers are all quality-driven. It's worth every dollar invested. When we install and repair the glass or windows for the first time for our customers, they'll be happy to know that it's completed right the first time. When our experts do installations and window repairs for our Elkhart residents, we will not leave until we know our customers are happy with the work done on-site. We strive for quality work performance in all our work, big or small. 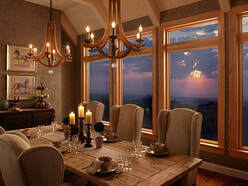 The workmanship Elkhart Windows' specialists have proven to the industry has indeed come a long way. The passion we have for the work we do comes from the many years we've been in business.